Celebrate spring and get some big savings on furniture by visiting Shipshewana Friday and Saturday, for the Shipshewana MayFest Brandenberry Sale May 4-5. A host of fun activities for the entire family awaits you. Including delicious food, exciting games and more at the 2018 Shipshewana MayFest this weekend. All activities will be held in downtown Shipshewana unless noted otherwise. The excitement starts on Friday with entertainment and food at the main tent all day long. Saturday morning kicks off with a benefit pancake and sausage breakfast. Plus, you can enjoy and participate in a 3 on 3 basketball tourney plus a 5 K Road Run and a Softball Tournament. Also, you can’t miss the Grand Parade at 10 a.m.
After that, you can enjoy buggy races, puppet shows, art awards and magic shows. Plus, the event will feature kids’ games, a corn hole tournament, human hamster race, egg drop and a garden tractor pull. And, of course, you get to participate in a full day of food and entertainment in the main tent. Free concerts by two bands will cap off the evening. 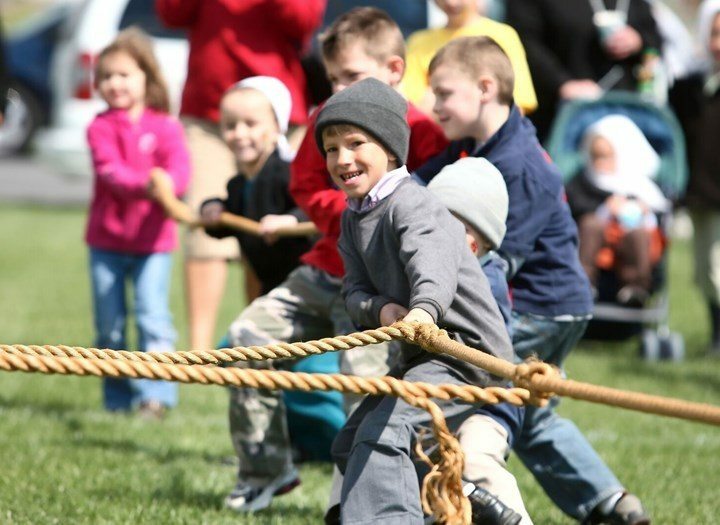 For more information on MayFest, visit http://www.shipshewana.com/mayfest. Brandenberry Amish Furniture is joining in on the excitement by running a special Shipshewana MayFest Brandenberry Sale, featuring big savings all across the store. You can get 15% off furniture items storewide. Also, we’re offering 20% off Living Room Sets of two or more pieces. So you can’t afford to miss these savings! Brandenberry Amish Furniture is located at 1045 N. State Road 5 in Shipshewana, at the intersection of State Road 5 and US 20, near the Indiana Toll Road. The store is open Monday through Saturday from 9 a.m. to 5 p.m. and by appointment. Brandenberry Furniture opened its doors in 2008. The Brandenberry Furniture concept allows customers to design the furniture of their dreams and to explore the rich woods and stains that only nature can offer. Nothing matches the feel, smell and weight of hickory, oak, cherry and maple. Because these real woods come to life in an Amish handcrafted piece. They are meant to last a lifetime and beyond. Whether a customer’s favorite style is Mission, Traditional or Modern or something in between, if Brandenberry Furniture doesn’t carry it, their craftsmen will build it to specifications. Brandenberry Furniture offers everything from bedroom and dining collections to home accessories, patio and exclusive furniture pieces. Browse our easy-to-use website with detailed photographs and information, and you’ll find furniture categorized by room (including family room, dining room, bedroom, office, children’s) as well as by wood species (including oak, hickory, cherry, elm, maple, pine and cedar) and style.